My 9th month of being fully natural was partially spent in a protective style. I had gone back home in January for a few days and came back to Joburg with a weave/braid combo. This time, my trip to Dar was kinder to my hair and my self esteem than the previous trip. And I think this was two fold; my hair was longer than it was before and I think that led some people to not think of it as ‘ugly’ or ‘bush’ but more ‘funky’ and I also was just more confident with my hair. I’d had it longer than I did on my previous trip and by then I had a much better idea of what I could do to it. I’d been successfully wearing braid outs and twist outs so style wise I was more comfortable with my hair. I applauded myself for reaching a full year without relaxer touching my hair and wrote this review. learn how to care for it, surely I can do the same for my own. 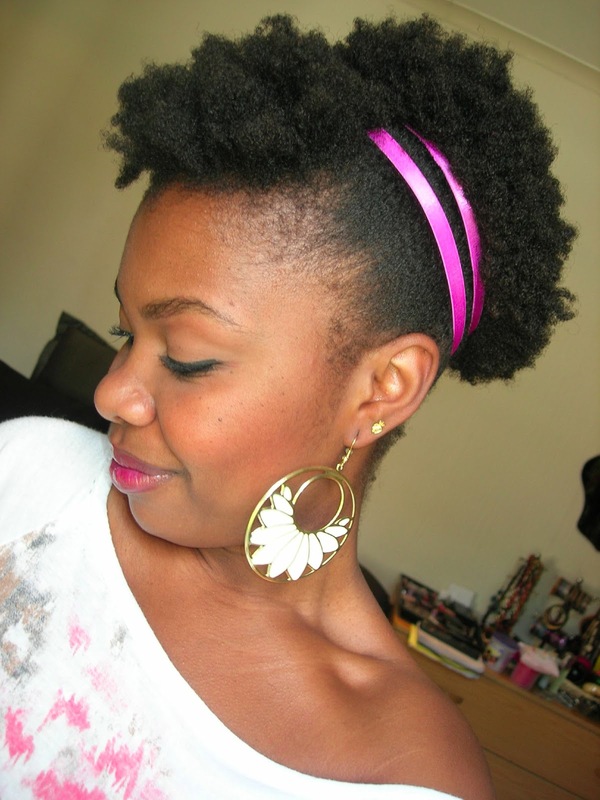 The year went by relatively quickly and I was so excited with the progress my hair was making. I could really see the difference in growth, especially when I realised that I couldn’t really do wash and go’s anymore. My hair was long enough to get tangled and knotted up if I did. So, that was really the time that I noted that braid outs and twist outs weren’t just for cosmetic reasons but also to reduce breakage. Yet even though I was getting used to the natural thing, I was still experimenting with products, styles and recipes…and sometimes failing. Case in point, my epic fail moment of trying out a banana based deep conditioner and… well…ended up looking like a mop (click here for the blog post). Suffice to say, I am never putting banana on my head again. Ever. Routine wise, I stuck to washing my hair weekly, making sure to deep condition after every wash. And I realised that the entire year before, I was wondering if I’d ever get the hang of being natural yet there I was, flat twisting my hair every night without fail, spritzing everyday and finally understanding what people meant when they’d say ‘listen to your hair’. That is when I began to follow that advice… and still do today. That was my frame of mind then. And remains so today. Lol!! Don't get it twisted, my hair's still stubborn and resistant as ever. It's more like I cooperate with it than the other way around! Congratulations,Aisha!!! I also have gone almost a year without a relaxer and I'm proud of all the knowledge and self confidence I've gained about my "cooky curly" hair. *lifts champagne flute* To us and our healthy hair!!! Thanks for your comment Jennice! 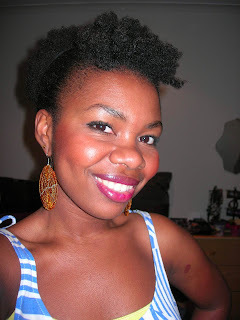 Lol, this was a retrospective post, part of the 'Being Natural' post series where I summarise what I was doing and experiencing at that point in my hair story. I'm currently almost at 2 years post relaxer, so this was reflecting on February/March 2012's experiences. But I'll still join you in the toast to healthy hair. Here here!! This is a very good question… I'd also like to know. Hi your pictures are always so bright and the colors pop very well. I am planning on getting a camera soon and I'm looking for ideas. Please what kind of camera do you use? Subscribe to A&L for new blog updates & more!